Finished blocked measurements: 61” (155 cm) long and 17" (43 cm) wide. 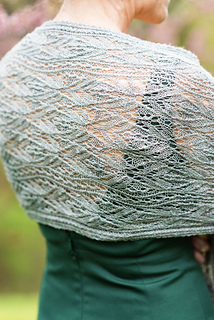 The stitch pattern I used in Murron is still one of my favorites. It is so lovely I decided I needed to do something else with it. 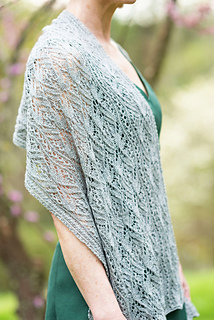 So I designed this shawl. 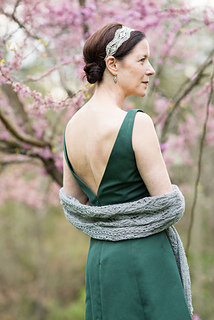 This stitch pattern can seem a bit over whelming at first, but with time you will learn the rhythm of it. 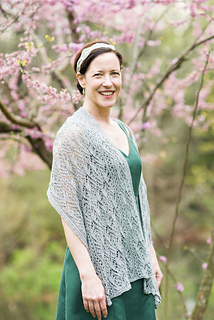 You may want to do a swatch of just one of the lace charts to become familiar with the pattern before starting the shawl. 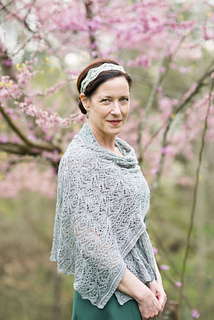 This is not a quick knit, but your reward of a beautiful heirloom shawl will be well worth your time. Finished blocked measurements: 61” (155 cm) long and 17” (43 cm) wide. Yarn: Sweet Paprika Arietta, 50% merino wool, 50% tussah silk; 1110 yds (1015 m) per 100g skein; color: Canterville Ghost; 1 skein, 900 yds. Needles: Size 2/2.75mm needle and size 3/3.25mm needle for CO and BO. Substitute size as necessary to obtain gauge. Other: Tapestry needle, cable needle, pins for blocking. Gauge: 30 sts and 42 rows = 4” in Stockinette Stitch, unblocked on smaller needles. Gauge is not critical. 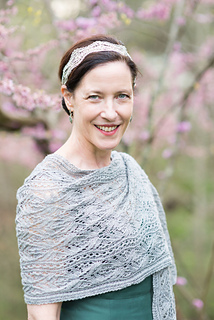 This shawl is worked in one piece from end to end. 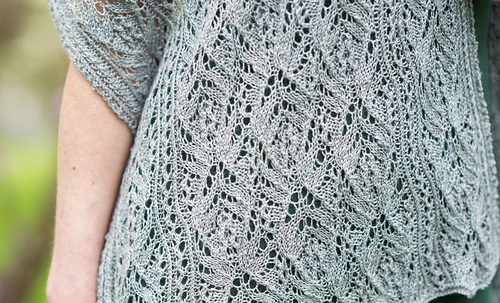 If you want to make it shorter or longer, simply work the lace charts additional or fewer times. 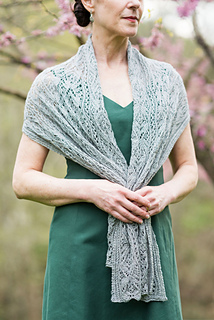 Each repeat of Rows 1 - 28 of Lace Charts A and B = 3 1/2” (9 cm). 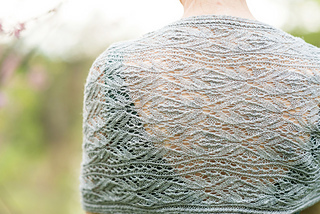 To finish with the scalloped edge, end your knitting on Row 7 of Lace Charts A and B. On the first few rows you may want to put markers in-between each chart until you can start to see the stitch pattern. 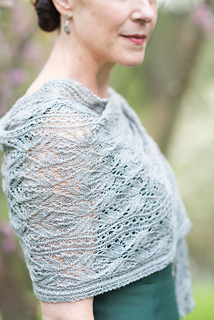 This pattern has been tech edited and test knitted.